Are you at least 55 years of age with maturity, wisdom, patience and the willingness to help children? Share your life experiences by volunteering as a foster grandparent in Oakland County! Volunteer during the day in local schools and youth facilities. 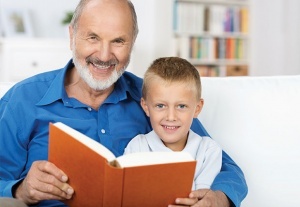 Organized through Catholic Charities of Southeast Michigan, foster grandparents provide support to children with special or exceptional needs and serve as role models, tutors, mentors and friends. Serving 20 to 40 hours per week, income-eligible volunteers also receive a small stipend, pre-service orientation, and monthly in-service training sessions. Learn more about becoming a foster grandparent! Call Carol Wall at 248-559-1147, ext. 3919 or email wallc@ccsem.org.